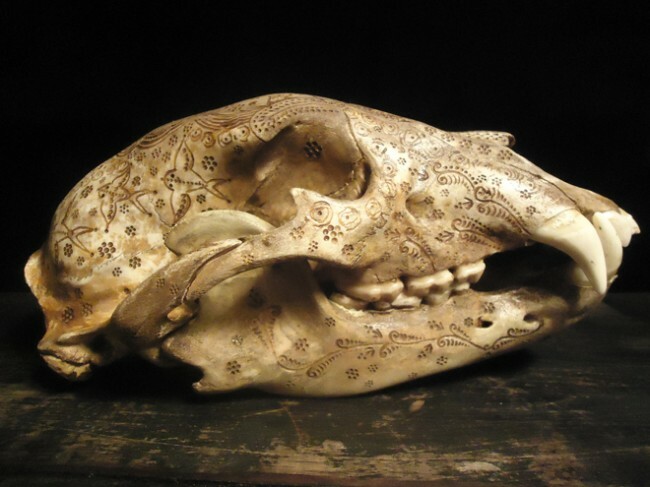 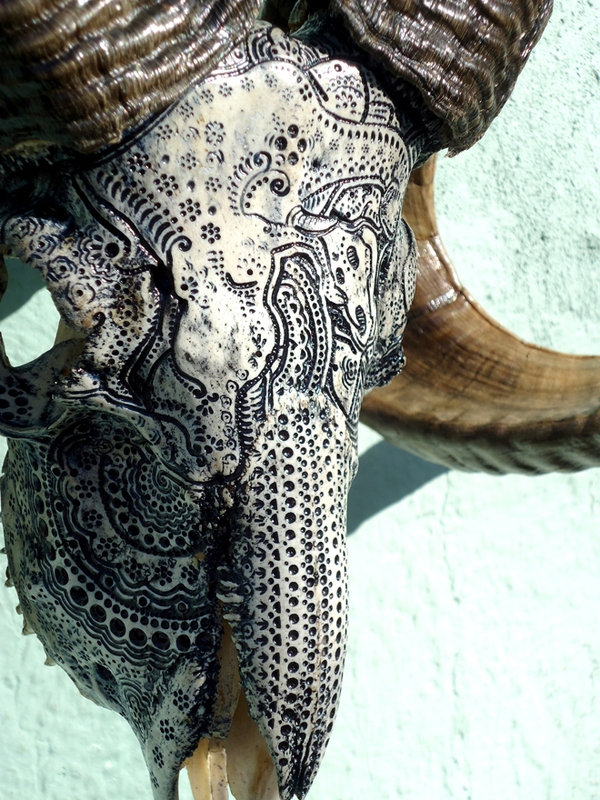 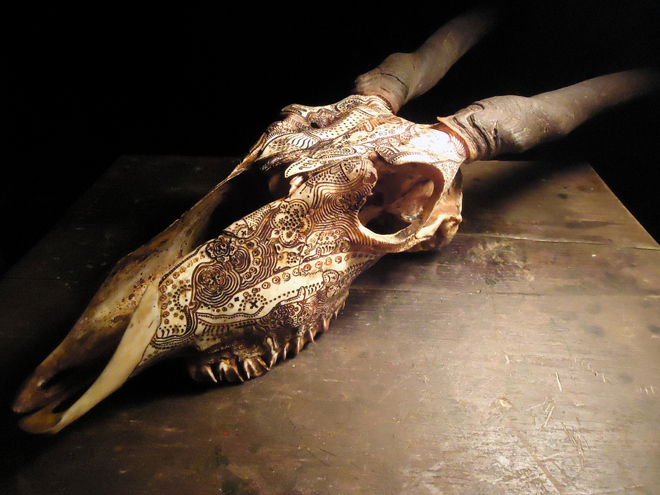 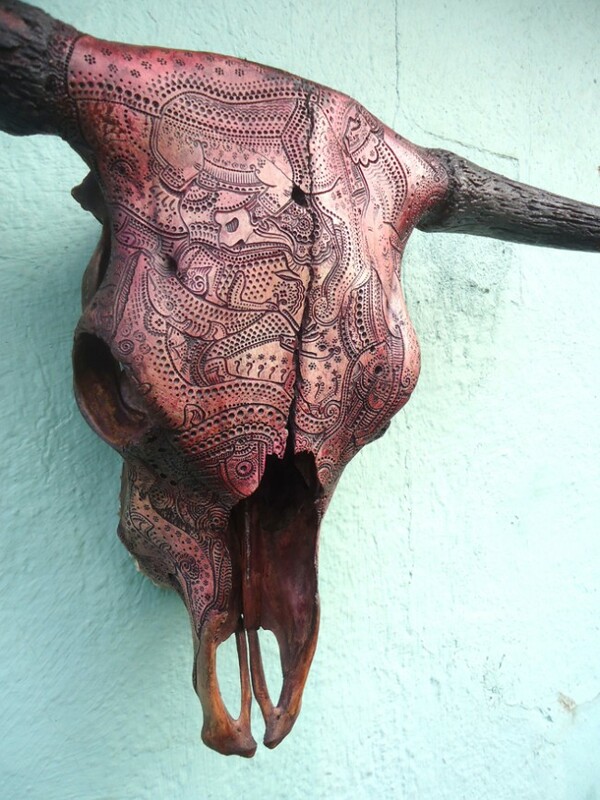 Jason Borders creates intricate, tattoo-like artwork on animal skulls, making mind-blowingly gorgeous pieces with a macabre edge. 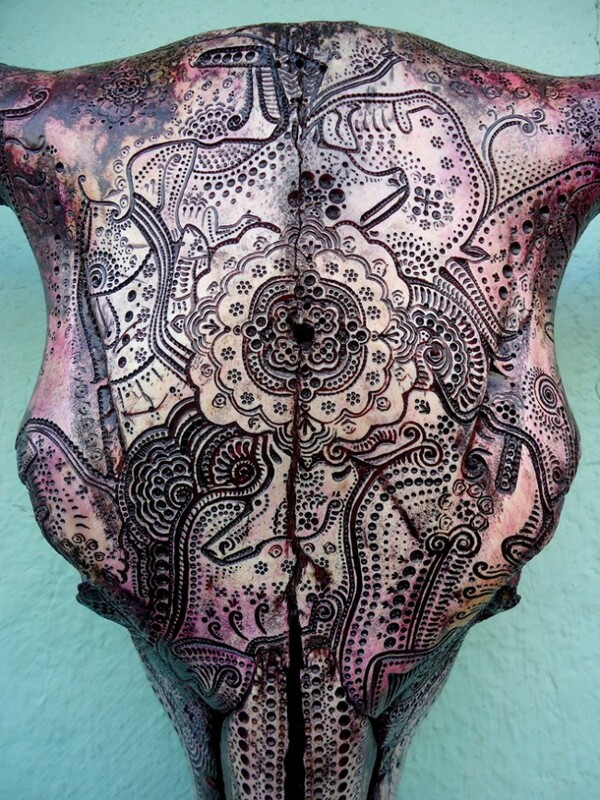 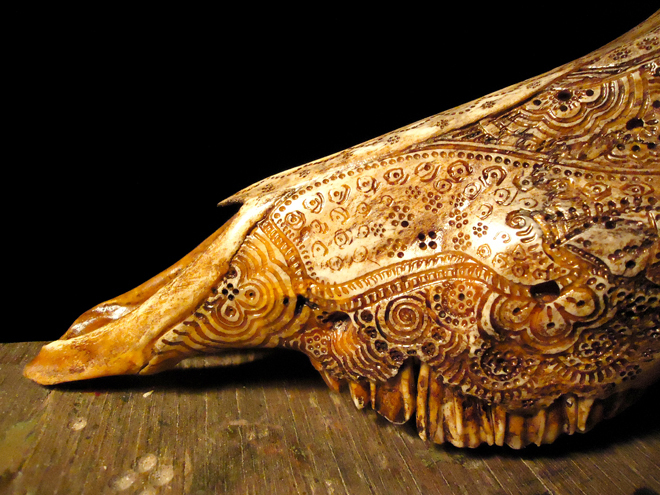 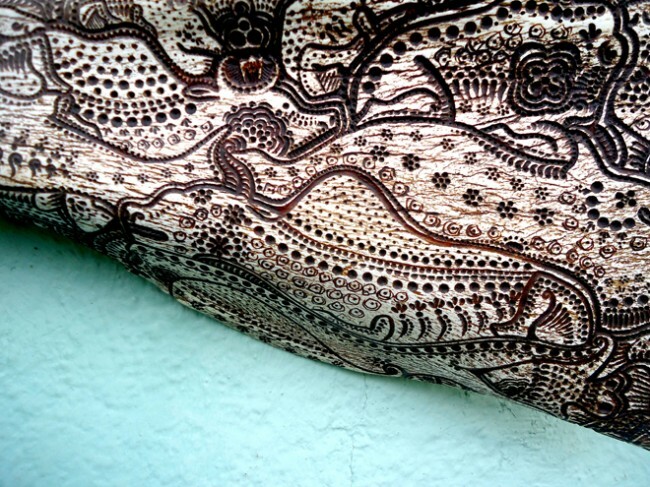 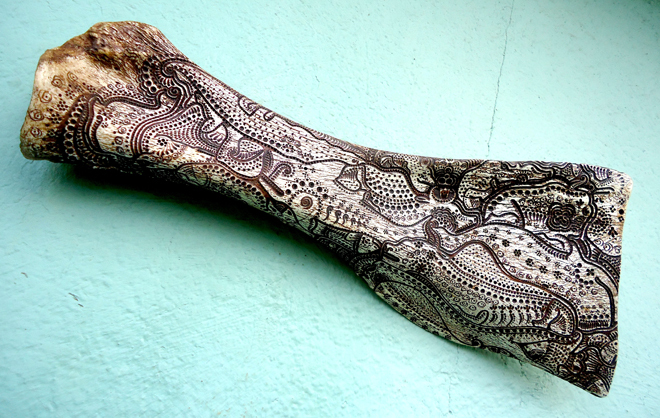 He carves and drills the bone, turning its surface into a textured masterpiece, and then paints them for even more texture and depth. 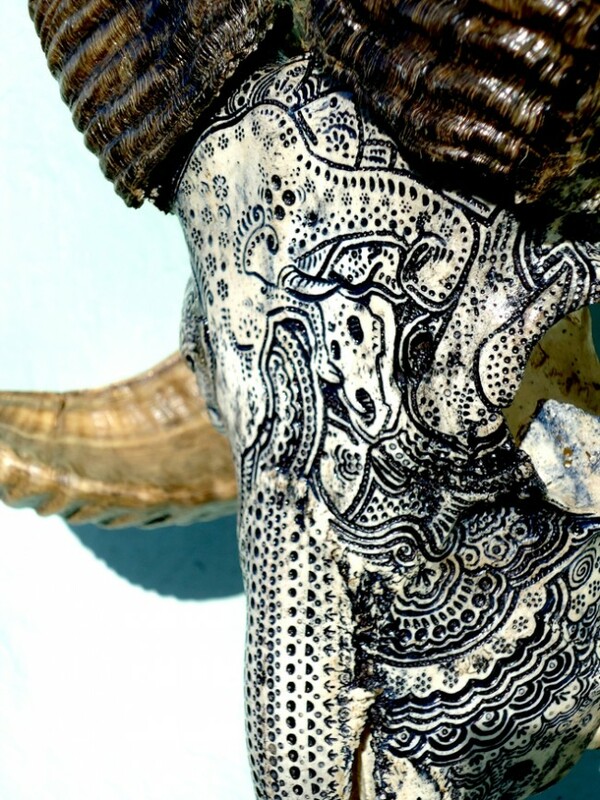 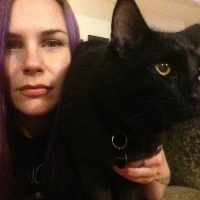 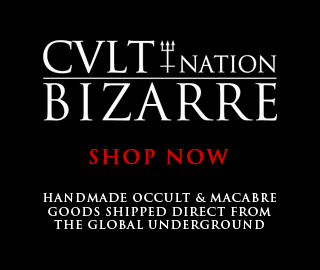 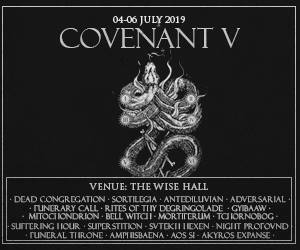 My particular favorites are the treatments he’s given the cat skull, anthropomorphized with a human skeleton on it’s forehead, and the ram skull with it’s black lines and majestic horns. 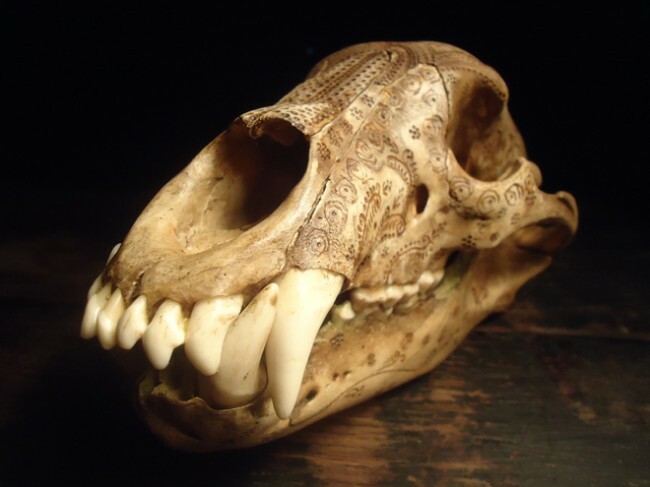 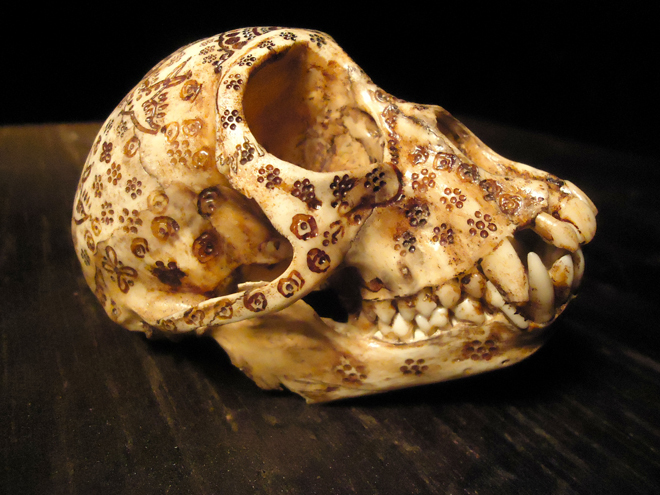 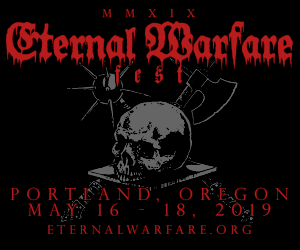 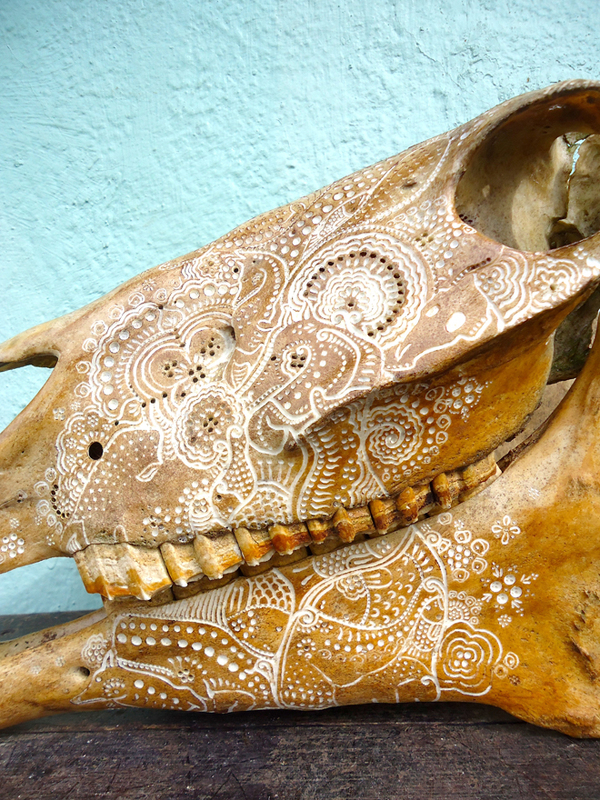 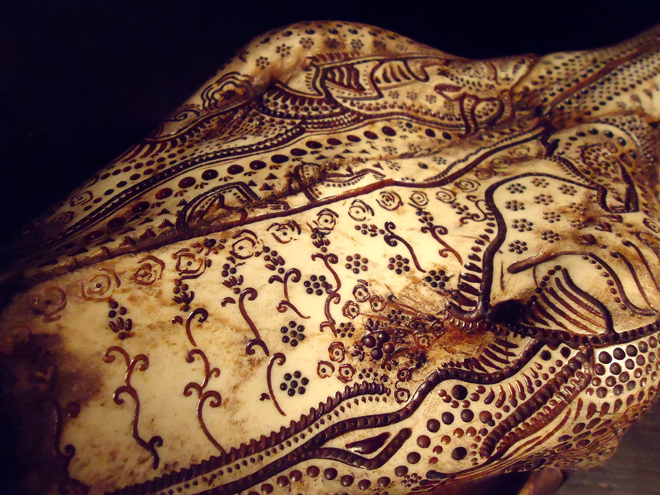 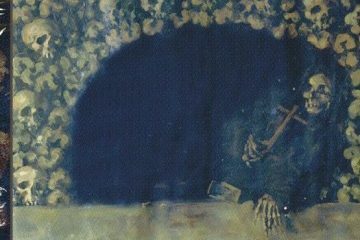 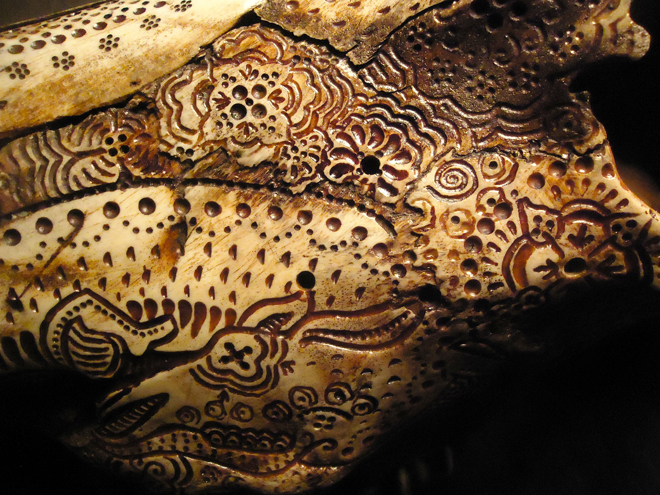 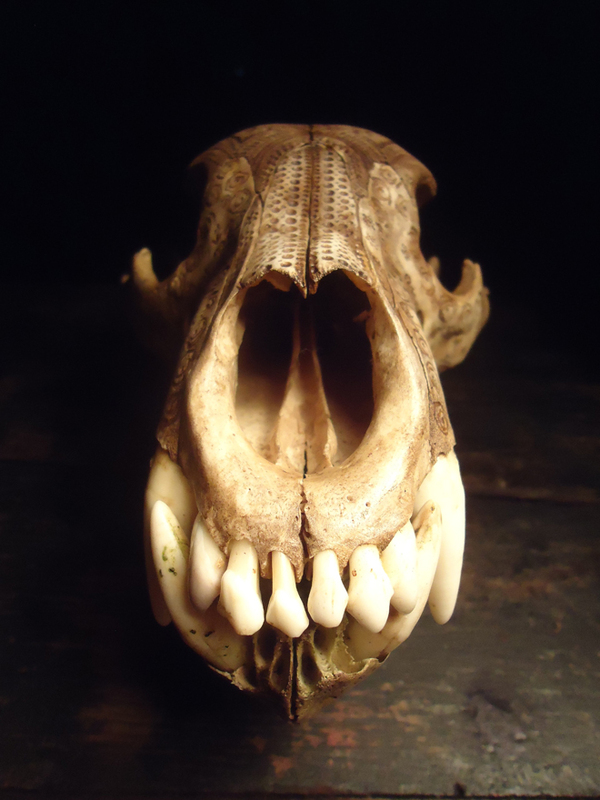 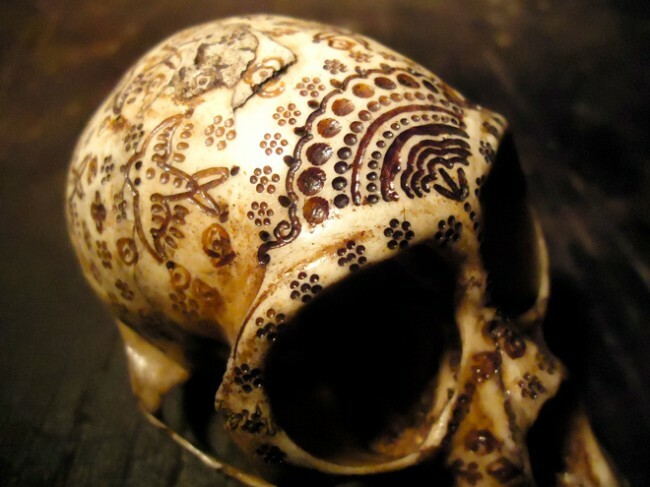 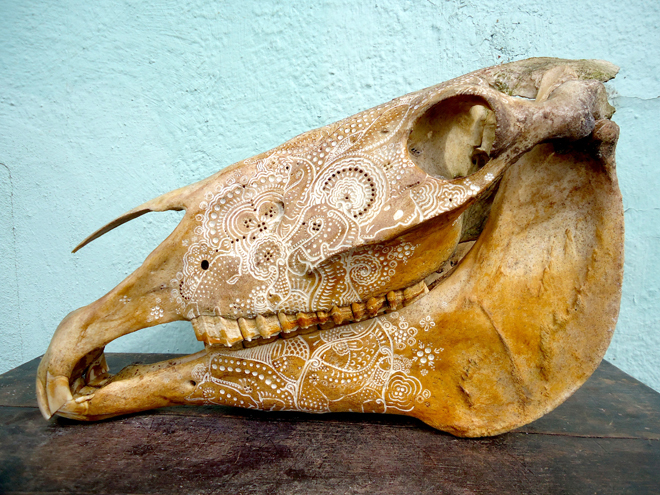 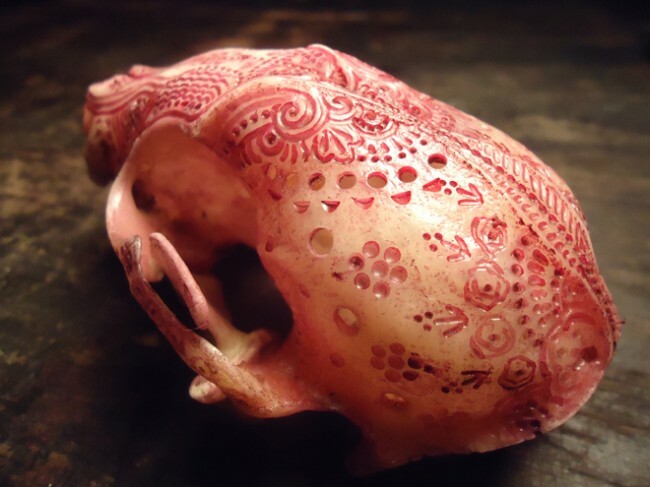 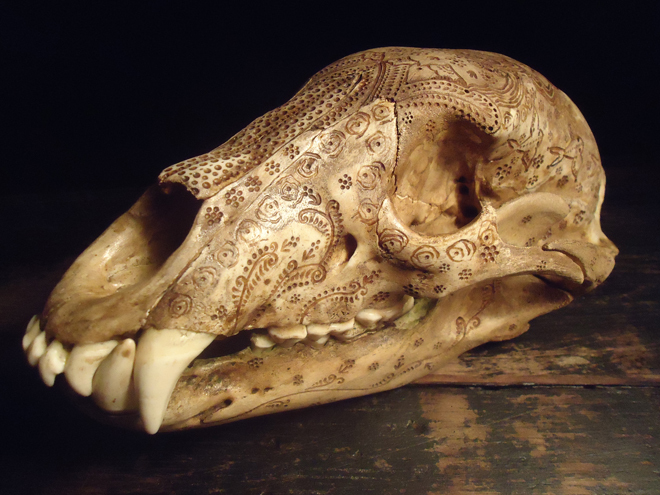 If my family would have this done to my skull after death, I would be very happy – they could display me proudly in their home, and when people complemented Borders’ precise yet flowing lines and delicate patterning on my bones, they could say, “that’s my mom!” How rad would that be. 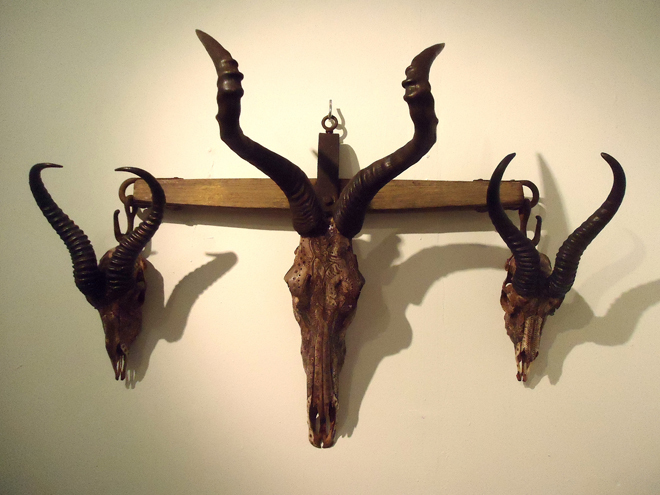 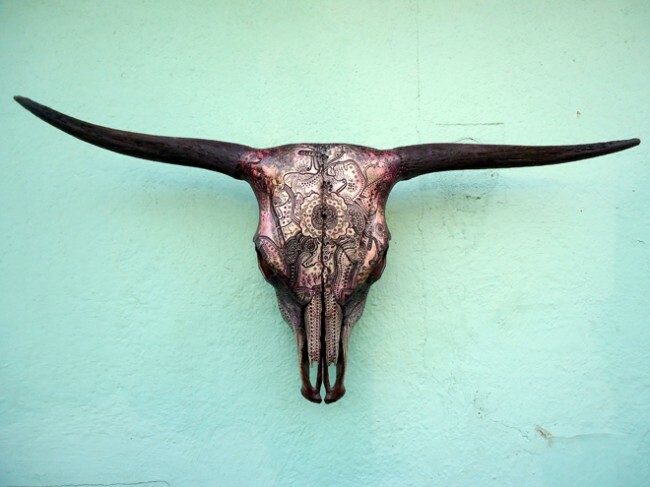 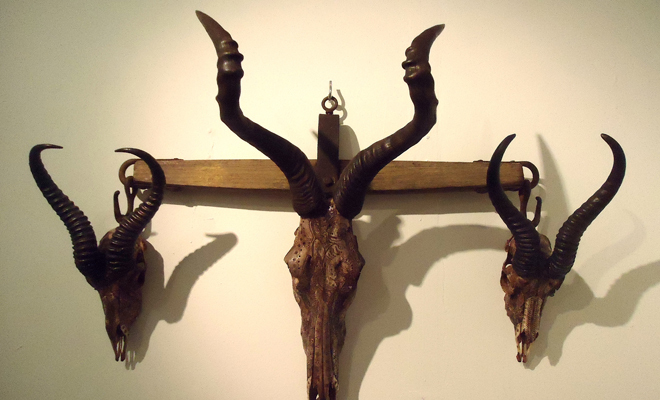 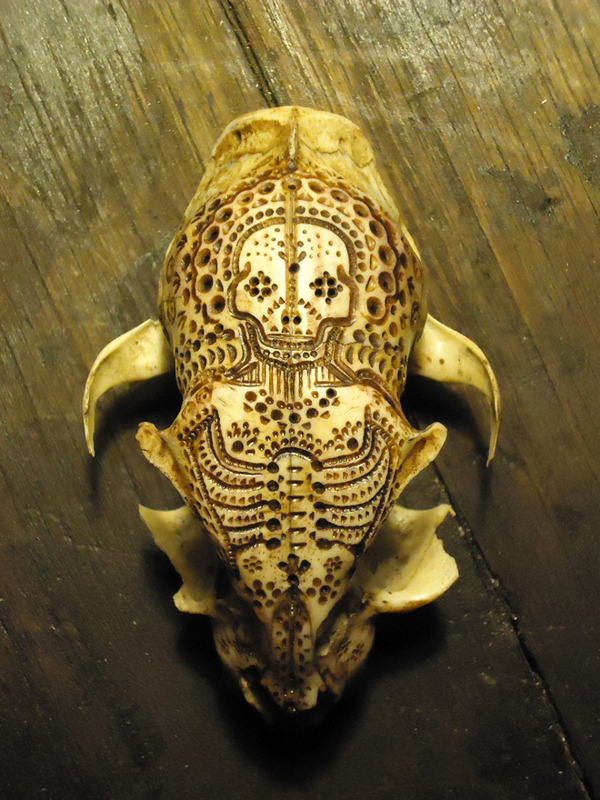 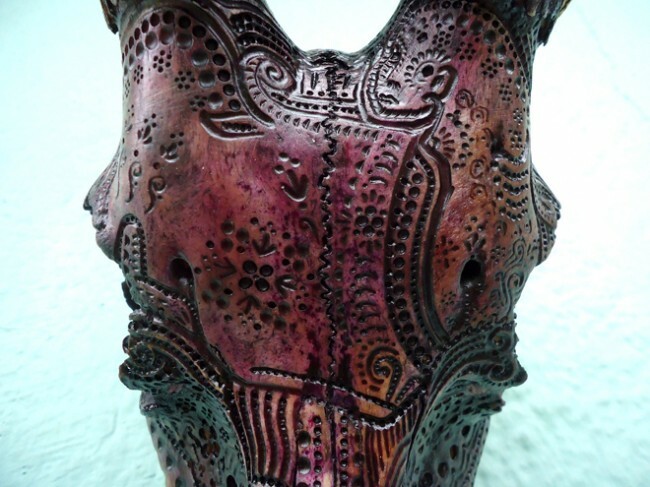 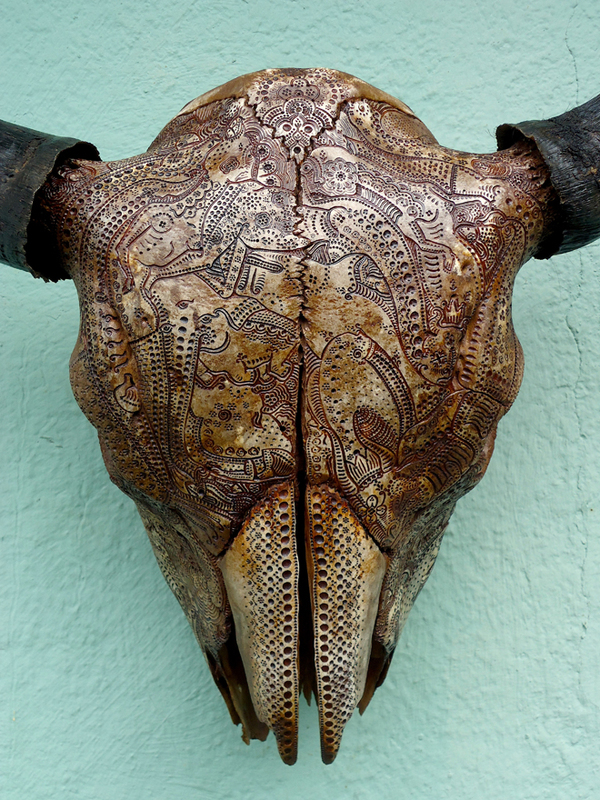 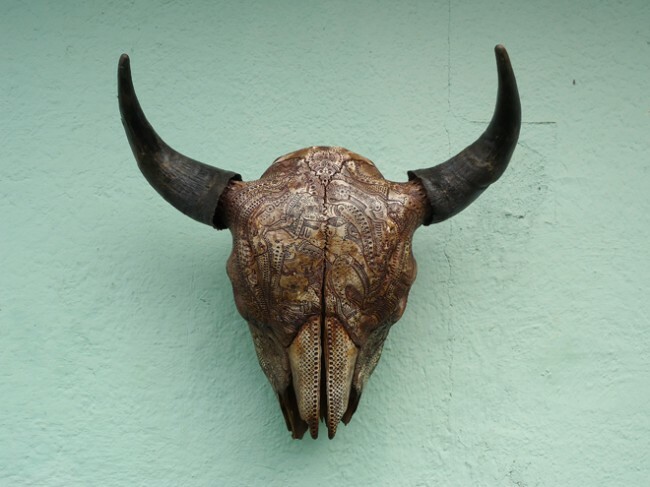 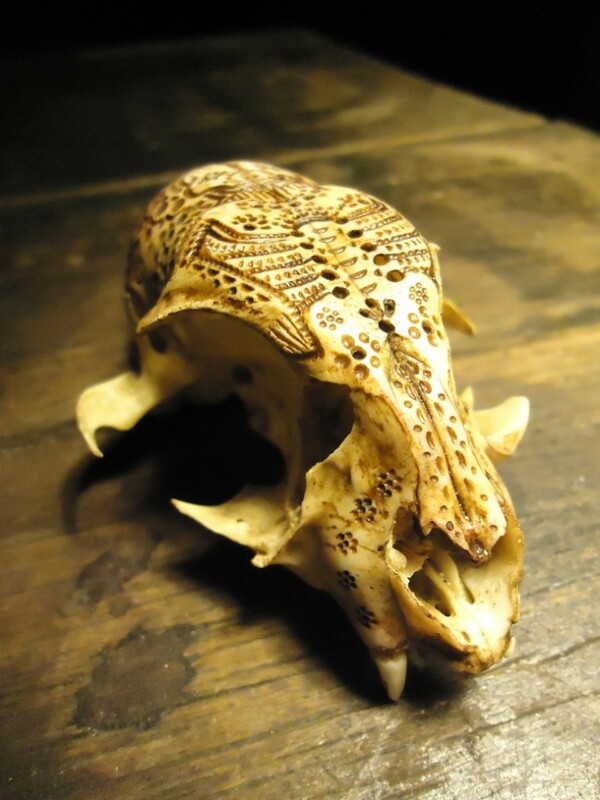 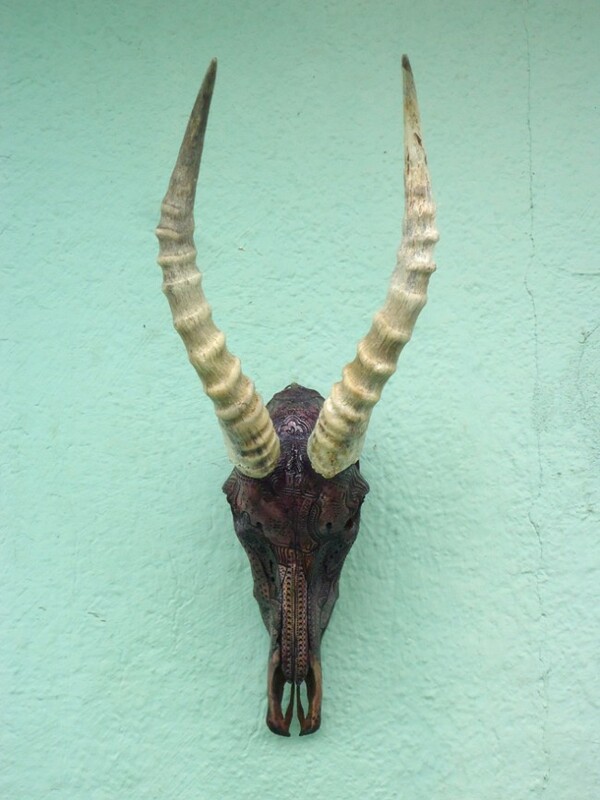 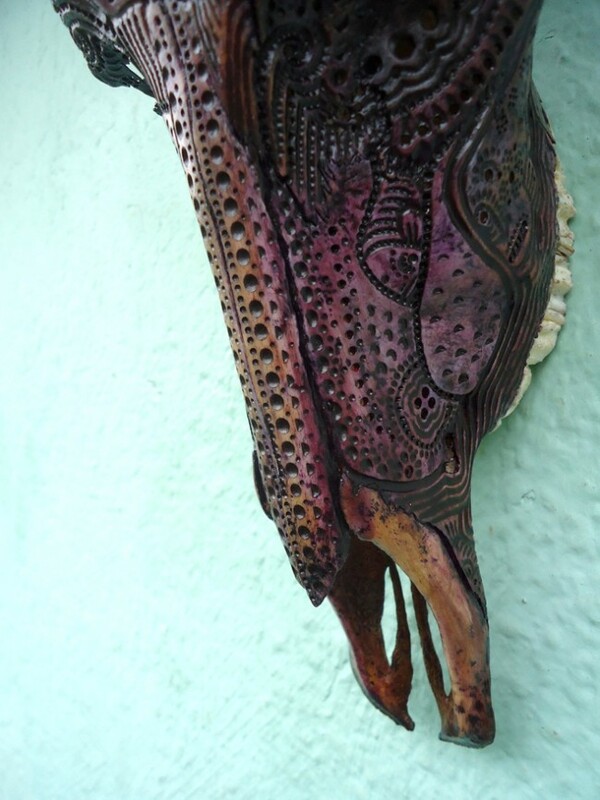 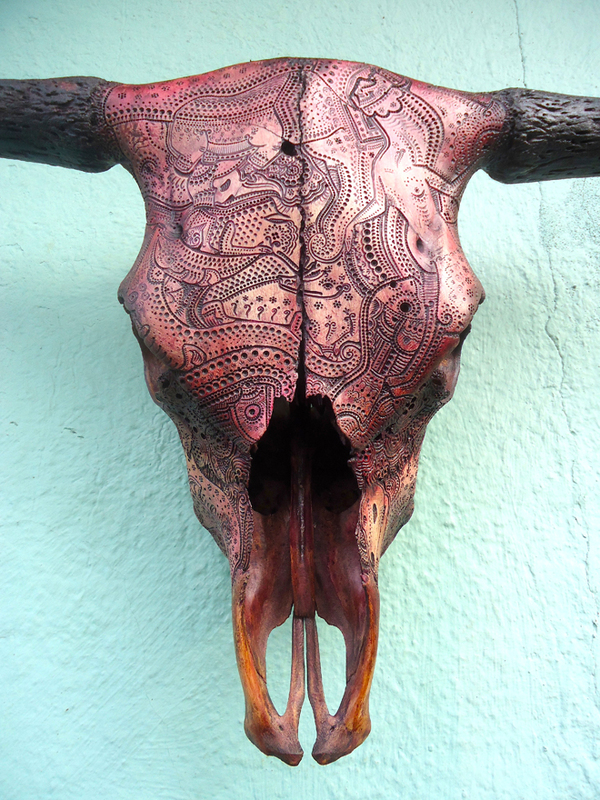 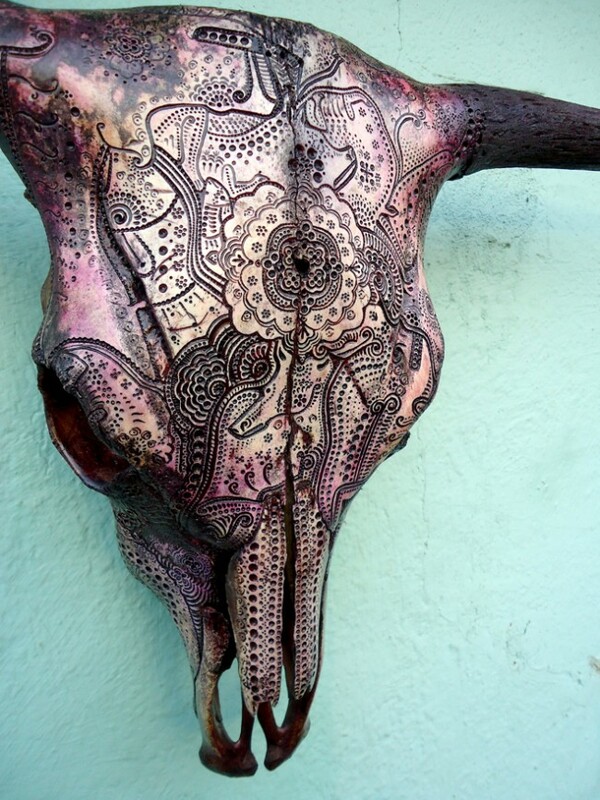 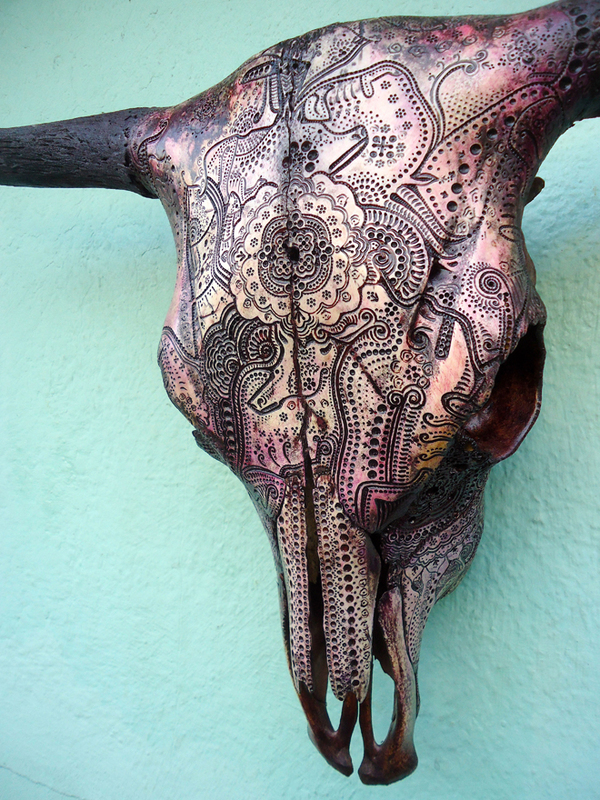 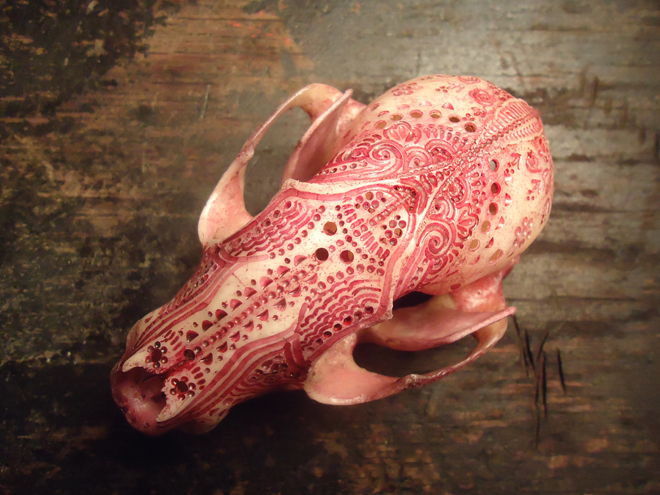 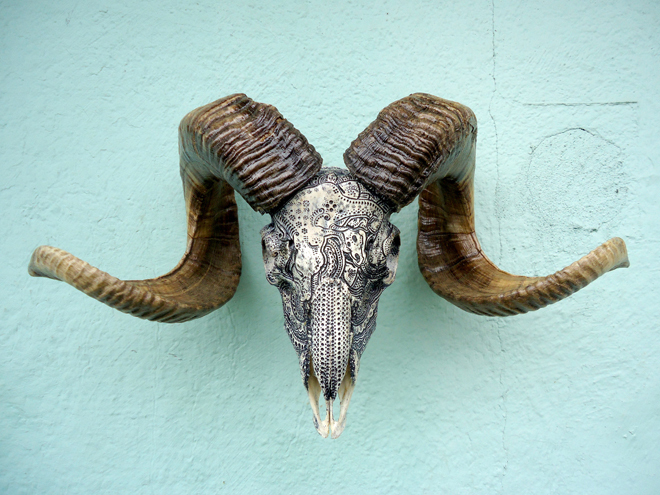 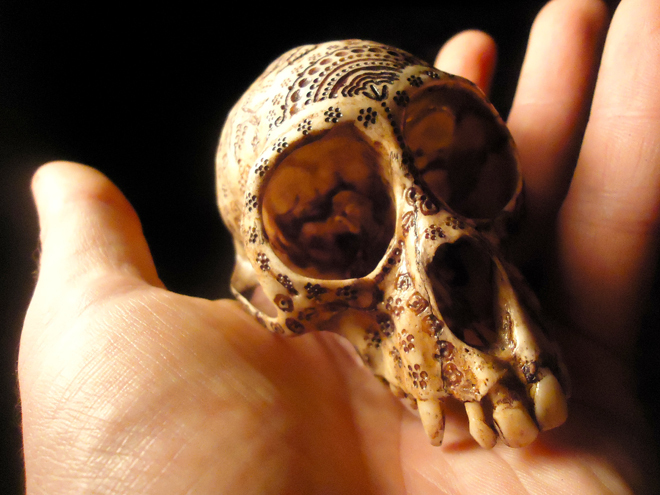 Check out Jason Borders fantastic skulls below. 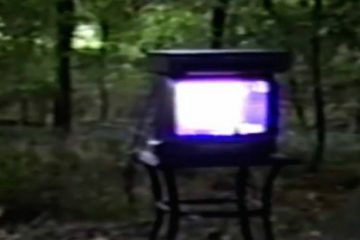 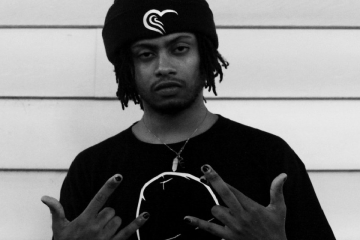 Get Your Trippy Hip-hop ON!